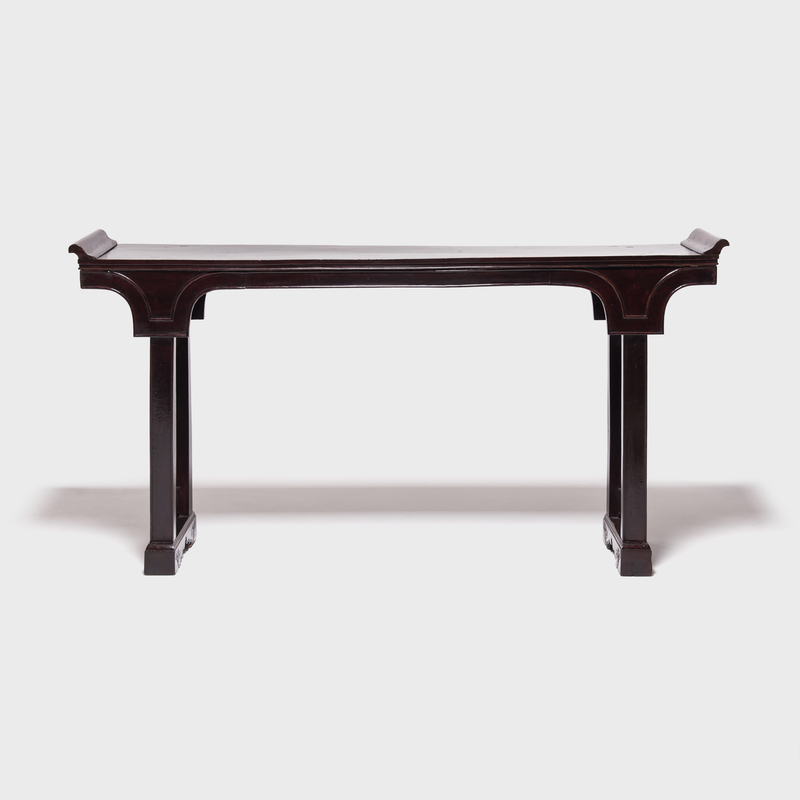 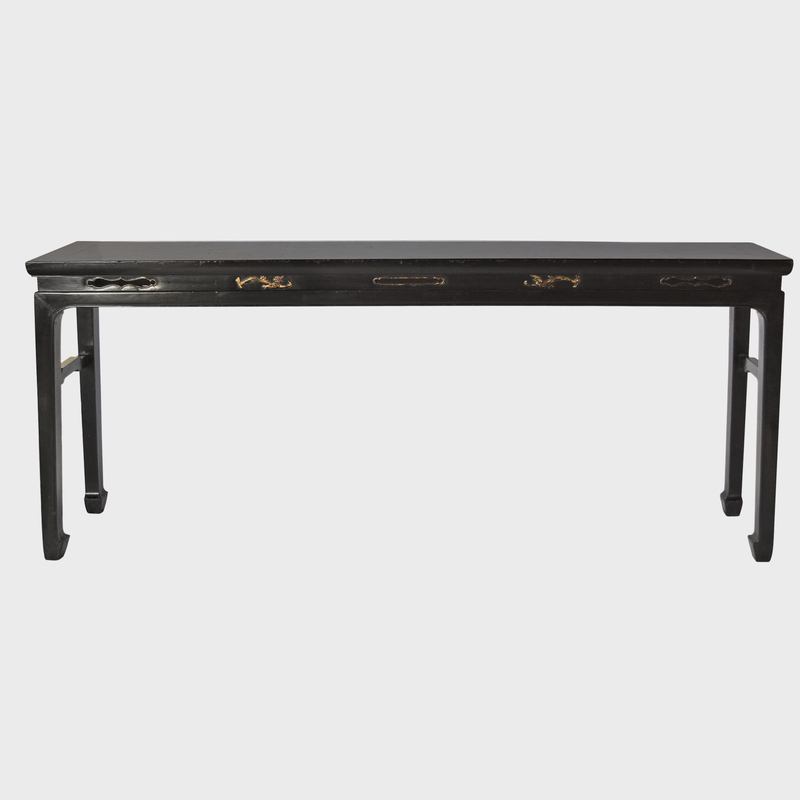 W: 80.75" D: 14.0" H: 40.0"
Slender, long tables like this are often referred to as “altar tables.” In ancient China they were used to hold musical instruments or display items of beauty and wealth such as jade, arrangements of flowers, or porcelain vases. 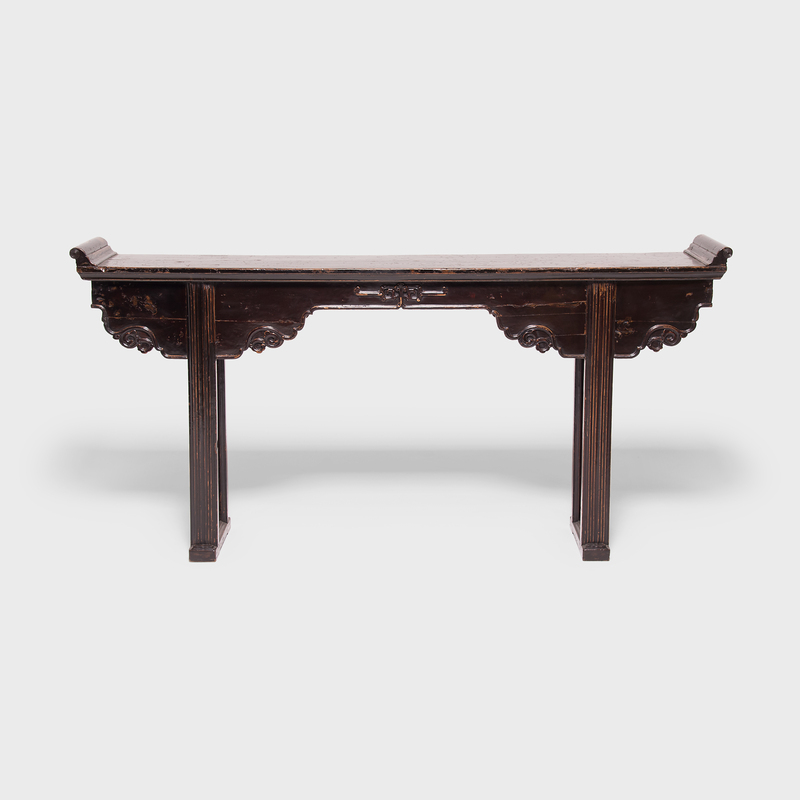 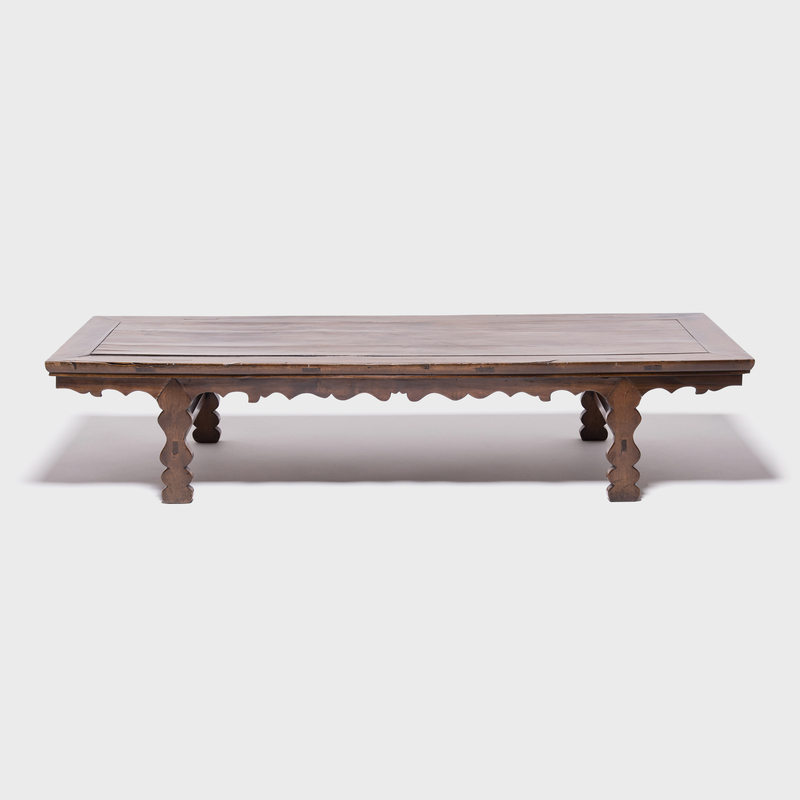 This elegant Elmwood table has wonderful patina, averted ends, a thick apron, and dragon carved legs, and was made in Shanxi region of China over 150 years ago. 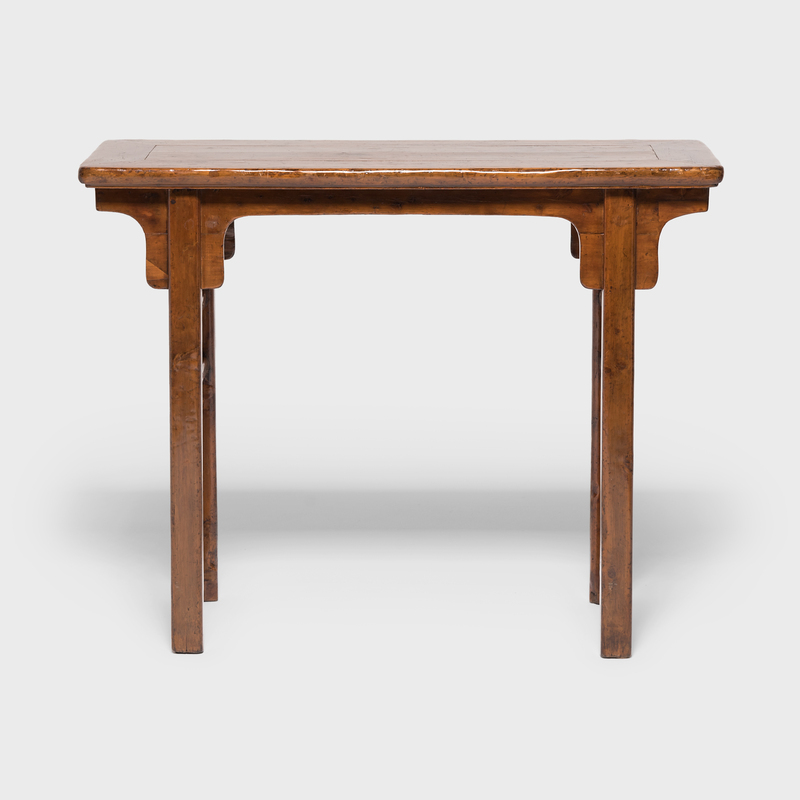 Table apron to floor: 26"